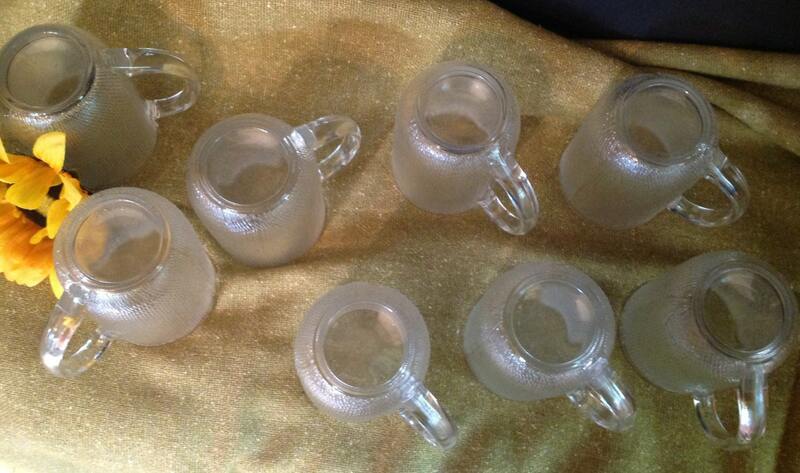 This set of 8 Arcoroc French coffee/tea glasses features a petite diamond pattern. The surface is very textural. 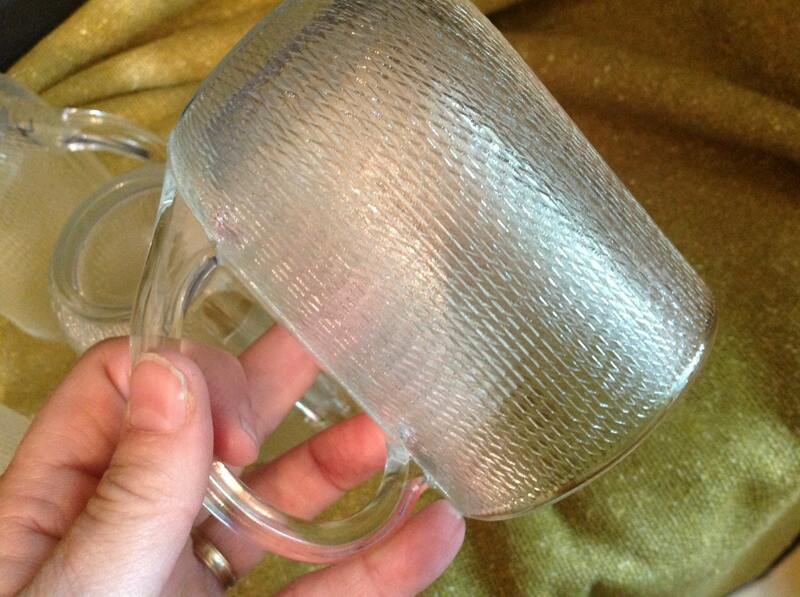 Handles make them great for hot beverages. Shipping calculation is on high end. I do reimburse for overages of $1.00 or more.